The Central Alberta Child Advocacy Centre Dream Home Lottery ticket deadline is Sunday, April 7. Please take a moment to see and share these reasons for supporting our most vulnerable kids. Most importantly.. click on this link to visit the lottery website. 10 Children Supported in one week. In this week alone, we have seen & supported 10 kids here at the Centre. These children have been impacted by child abuse in some capacity: sexual abuse, physical, neglect, witness to domestic violence, sexual exploitation and emotional abuse. 9 Quilting Groups who make it possible to give our littles the comfort of their very own quilt. When a child first visits our Centre they are often afraid, confused, and sad. After the interview, or other support they receive, it is incredible to witness the change in them. They stand a little taller, and leave knowing that today is the start of their healthy future. Thanks to some amazing groups of ladies we are also fortunate enough to give a child a quilt afterwards, wrapping themselves with the comfort knowing it is going to be ok. These ladies stop by every couple months to bring us these hand-made pieces which takes many many hours, days and weeks to make. 8 New Communities Supported this Month. In the month of March, we have supported children and their families impacted by child abuse from 8 new communities throughout Central Alberta. Since opening, we have served 61 communities. Although we are located in Red Deer, we support more than half of our cases from surrounding communities: Sylvan Lake, Alix, Lacombe, Bashaw – your community. The CACAC is comprised of a group driven by courage to end the cycle of abuse. What many do not know is that we are a small team, only made up of 7 core staff just as of this month! We wouldn’t be able to do this alone though, it is through our collaboration with our 7 partners that makes it possible: RCMP, Central Region Children’s Services, AHS, Alberta Education, Alberta Justice, Central Alberta Sexual Assault Support Centre, and RDC. It is also through YOU that we are able to support the children of Central Alberta. We rely on the support and advocacy of the community and we need your help. 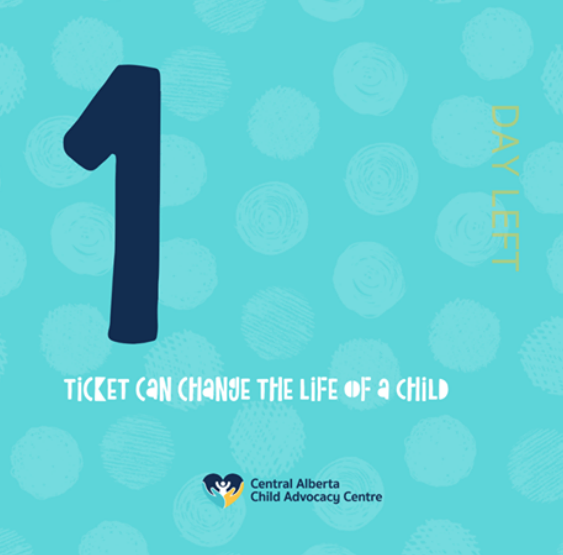 To support the CACAC and the vulnerable children of Central Alberta, please buy your Dream Home Lottery ticket before it’s too late. All proceeds go directly to supporting children and their families impacted by child abuse. 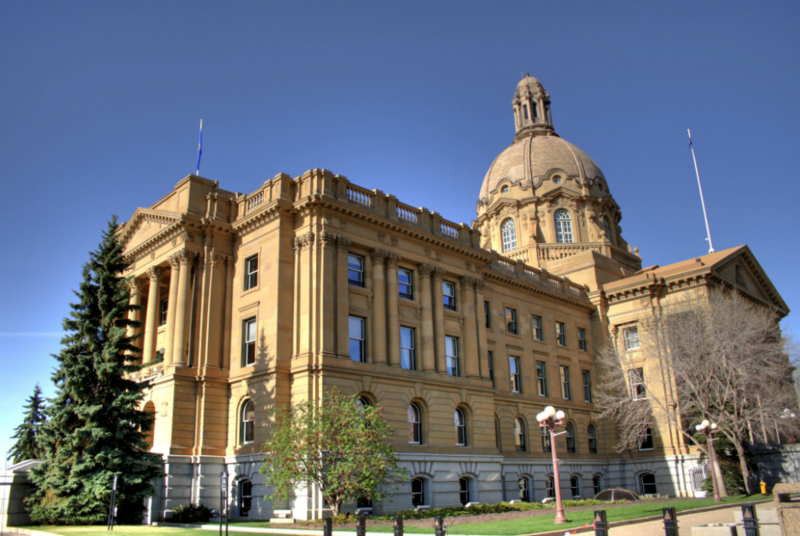 6 Years since Bill 25: The Children First Act – Alberta Children’s Charter was enacted. #DidYouKnow: The Children First Act was passed 6 years ago here in Alberta, allowing pertinent information to be shared among service providers – if deemed beneficial to the child or for the provision of services. This is what allows all of our partners to work together at ‘triage’. They are able to share important case information which expedites the process – and in-turn propels healing & recovery for the child. Although this act allows for government agencies to collaborate and work together here at the CACAC, we still rely on the community for the majority of funding. We are proud to be apart of the 5 open & operating CACs in Alberta – operating for a full 16 months! Other CACs in Alberta include: Zebra Child Protection Centre Calgary & Area Child Advocacy Centre Lloydminster Sexual Assault Services Caribou Child & Youth Centre . All of these Centres collaborate on best practices & support one another in order to best support the children of Alberta affected by Child Abuse. 4 X more likely for child abuse survivors to report self-harm or suicidal ideations. This staggering statistic is another reason why support throughout and after the initial process is so crucial. For the survivor, it doesn’t just end at the potential court hearing, or even at the forensic interview – healing is a life-long journey. Through our partnership with Alberta Health Services, we now have our Mental Health Therapist here onsite at the CACAC – providing the much needed support and therapy for both the child and their family to end the cycle of abuse. 3 | 1 in 3 Canadians report to have experienced some form of child abuse in their youth. We have shared this stat with you before, but let it sink in. In Canada, 33% of our population has been affected by child abuse. This is someone you most likely know and would never expect. This is someone that is homeless struggling with addiction because they have no other way to cope and didn’t receive the crucial support. This may be your neighbor, your cousin, your best friend, your niece. 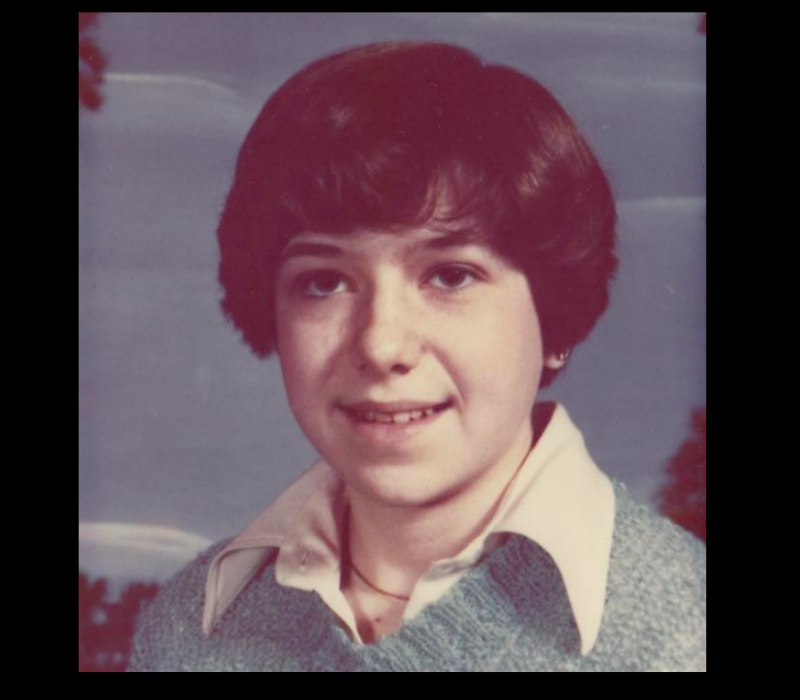 Many times, the story is not shared or reported until a much older age where the survivor has been struggling internally for years. Help support the 1 in 3 Canadians that are survivors of abuse. Out of the 483 (as of March 27) children we have supported, 87% of the cases were through collaborative efforts between 2 or more of our service partners. We work with Alberta Health Services, Central Region Children’s Services, Central Alberta Sexual Assault Support Centre, and the RCMP. Through this collaboration, more information is shared – reducing the time for a child to receive proper support. Your Dream Home Ticket helps support these collaborative measures in-turn, supports the 483 seen at the Centre and the many more we will support. For $35 you can influence positive outcomes in the lives of abused children living in Central Alberta communities. Your $35 ticket doesn’t just give you the chance to win an amazing house, cars or other prizes – it changes the life of the children that we support at the Centre. All of the proceeds from the Dream Home Lottery support the most vulnerable children of Central Alberta – those impacted by child abuse. This abuse ranges from physical, to sexual, to being a witness of domestic violence, peer-to-peer abuse and unfortunately much more. Your $35 is a donation and helps give back the promise and possibility of a healthy future to those that need it most. Please buy your ticket before its too late, and support the Central Alberta Child Advocacy Centre and our mission to end the cycle of child abuse. 57 Larratt Close – open Sunday until 5pm.